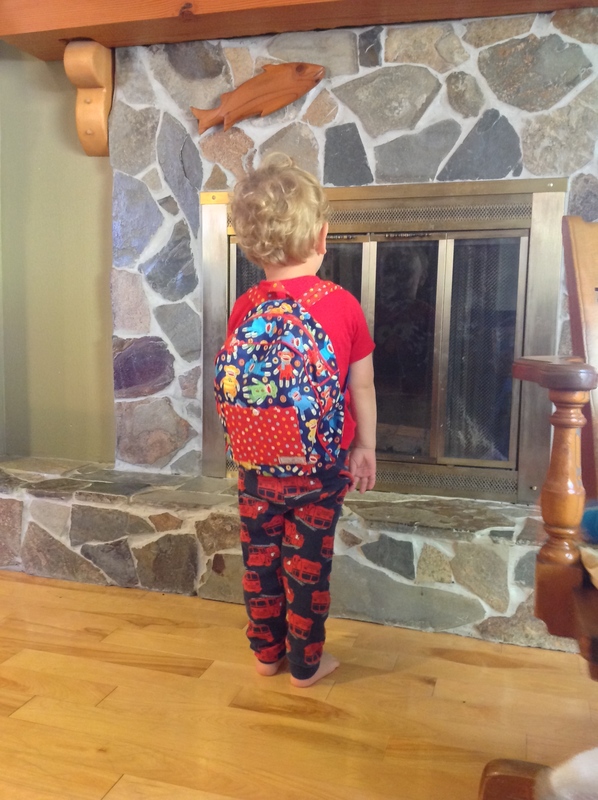 Our oldest son started preschool this fall! We are so excited for him. We fell in love with the Montessori program when we toured the school last spring, and couldn’t wait for him to get going. As it was his first day of school (ever! ), I felt like he needed a little something special from his mama. 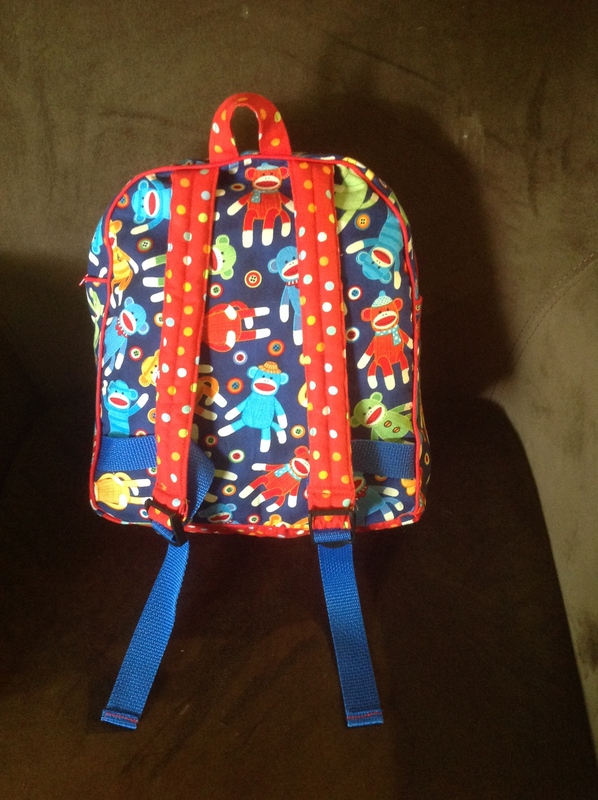 Enter Made-by-Rae’s Toddler backpack. I had visions of grandeur about sewing this for him weeks before school started, but (as always) the time got away from me, and there I sat with my fabric and new pattern on the night before school. I was only going to get as far as I could get, but by 10pm, I was so close to being done. By 11, I was done…until I realized I had put the straps on backwards. By 11:45, I was finally done, and ready to send my Big Little boy off to his first day of school. It really is the perfect size for a toddler. Not too big, not too small. Just right (apparently he’s a boy goldilocks?)…. 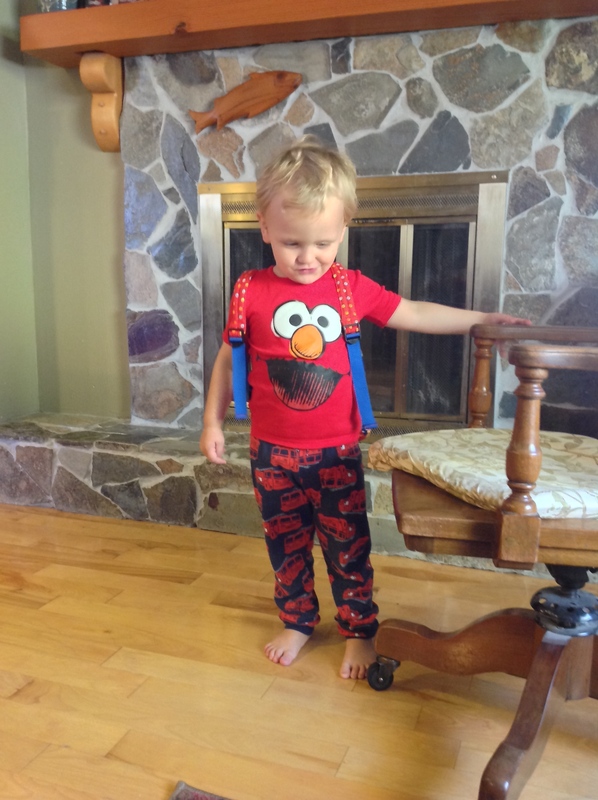 No, we didn’t send him to school in his pajamas. At least we haven’t yet. That day might come. Sock monkey fabric from JoAnn fabrics, Red dot fabric (Robert Kaufman, I believe) from the Sewing Palace. 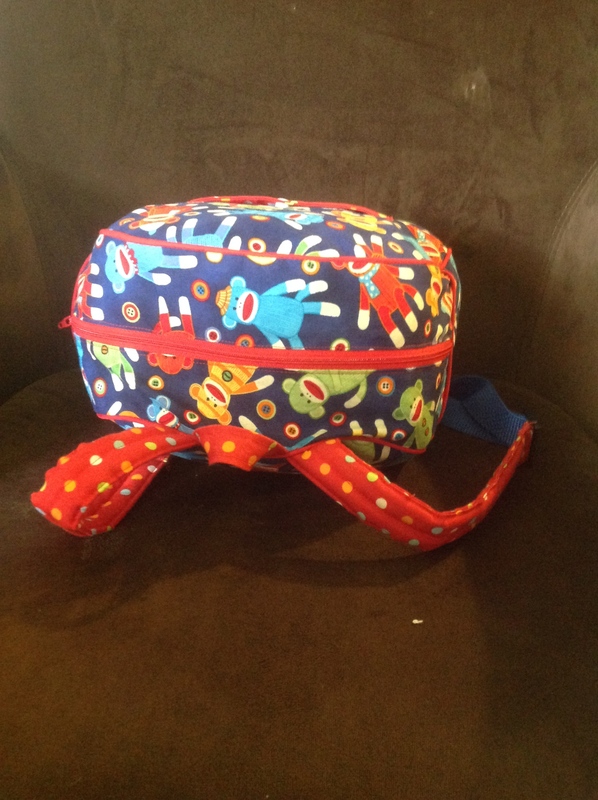 I did have to line the front and back with a heavier fabric to make it a little sturdier. I didn’t fuse it into place, just basted the lighter fabric to the heavier fabric before sewing the pattern pieces together. 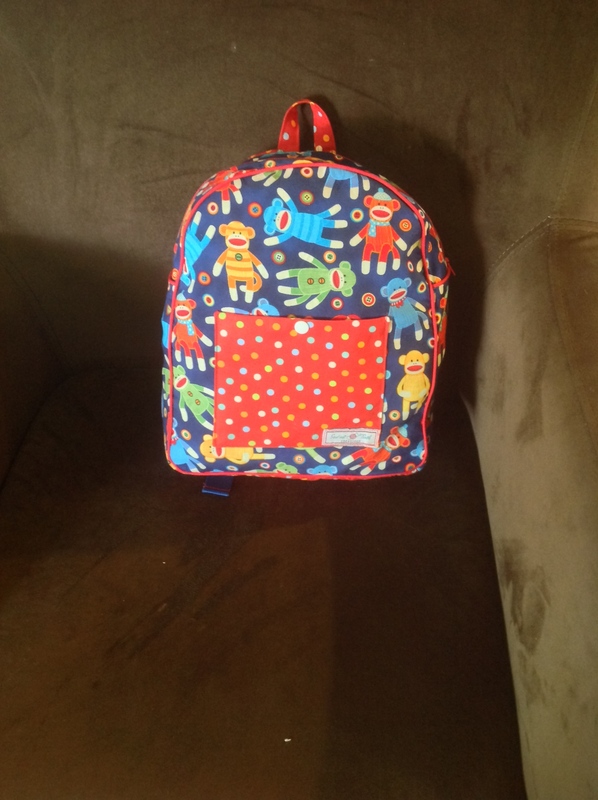 He is still loving his backpack three weeks in. Success! And well worth the lack of sleep to see a smile on my boy’s face!